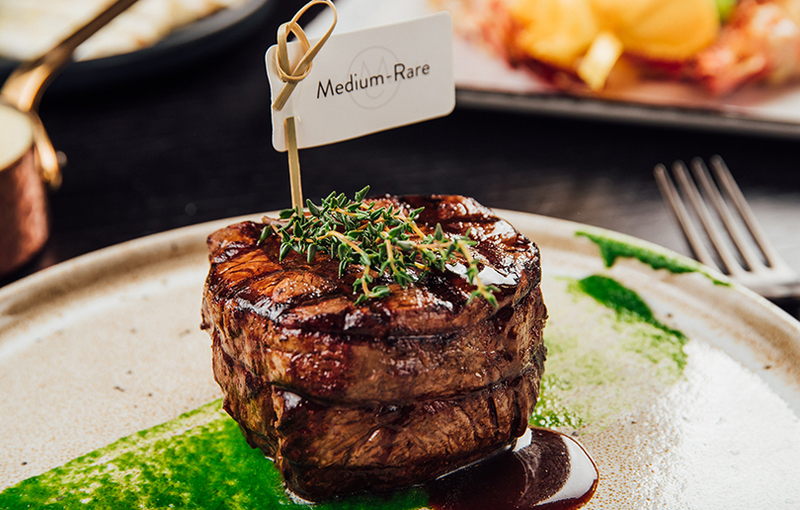 The Meat Co. is somewhat of an institution in the UAE for steak lovers, with branches now open in two Dubai locations as well as the capital. Following its renovation late last year, the Souk Al Bahar branch presents a high-end, polished dining space for up to 320 diners. Upon entering the exquisitely designed, 820-square feet restaurant, we’re greeted by a large open kitchen and an upscale bar area, which makes for an ideal post-brunch drinks spot. We head outside to our table on the lower level of the terrace, and are faced with stunning views of the Burj Khalifa, Dubai Fountains and Burj Lake – worth knowing if you’ve got guests in town and want to impress. We watch two fountain shows from our table during the brunch, but if you want to be even closer to the action, be sure to book ahead and grab a table at the restaurant’s ‘floating deck’ on the lake. The brunch begins with The Meat Co.’s signature chocolate and beetroot bread – a brioche tear and share starter that may sound an odd flavour combination but is utterly delicious. 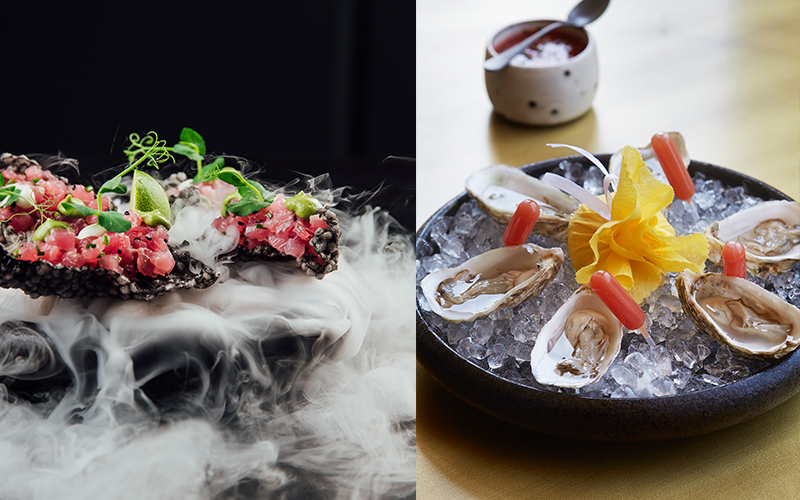 Next, a selection of cold entrées are brought to the table, including Dibba Bay oysters, served with fresh lemon and a pipette of Bloody Mary sauce, quinoa salad with crunchy apple, pine nuts and pomegranate and tuna tartare with chilli, lime and soy. 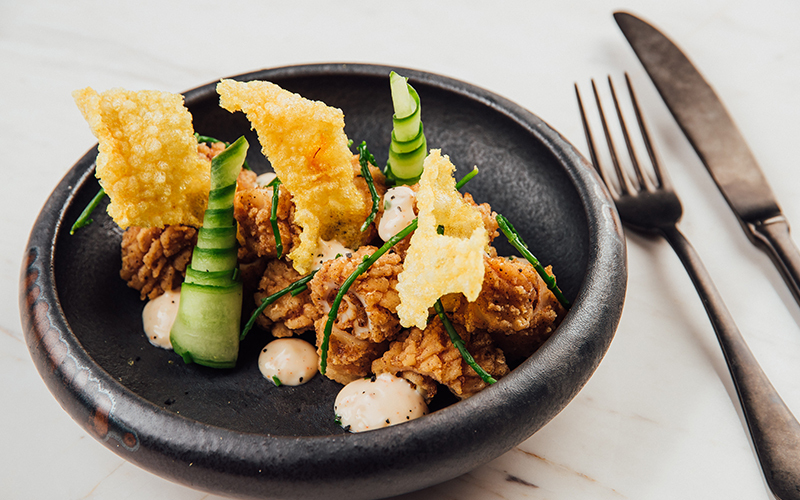 The star of the starters show is by far the salt and pepper calamari that follows; lightly battered, served with a spicy yuzu mayonnaise, and a far cry from fried calamari that can so often be chewy and bland. We enjoy it so much that we order a second plate. Beef boerewors in a rich tomato sauce served with polenta chips are up next, alongside braised beef and mushroom filo pastry rolls. Guests are invited to choose a main course from the menu – which features two steak variations, as well as chicken, lamb, salmon and potato gnocchi dishes. I opt for the brunch-friendly 200g Angus prime beef fillet, cooked ‘medium’ and served with truffle fries and peppercorn sauce. As a steak lover and a fan of the cuts at The Meat Co., I am delighted to find that the quality of steaks served at brunch does not falter from those I have had previously from the à la carte menu. Cooked just to my liking, the beef is perfectly tender, pink in the middle and melts in the mouth, while the creamy peppercorn sauce packs a fiery punch of flavour that complements the meat and fries wonderfully. My dining partner tries the larger 300g rib-eye offering, which is equally as tasty. For such a lavish and luxurious two courses, the finale to this lazy Friday brunch is slightly underwhelming. The “chef’s selection” dessert platter (served to the table) includes a pair of bitesize sweets and a hearty helping of fresh fruit and ice cream. The white chocolate baked custard pudding, which is topped with apple compote and green caviar and has a cheesecake-like texture, is our favourite. We’re less keen on the raspberry mousse and rather sad looking dollop of strawberry ice cream. Our waiter, Precious, is a delight to deal with. Our drinks are continuously replenished, and the courses are staggered and served to our preferred timings throughout the afternoon, making this Friday brunch feel more like a relaxing long lunch. This lazy Friday affair is the ideal spot to catch up with friends while enjoying great food and stunning views. If you’re planning to visit during the winter months, be sure to grab a table outside while the weather is still nice. 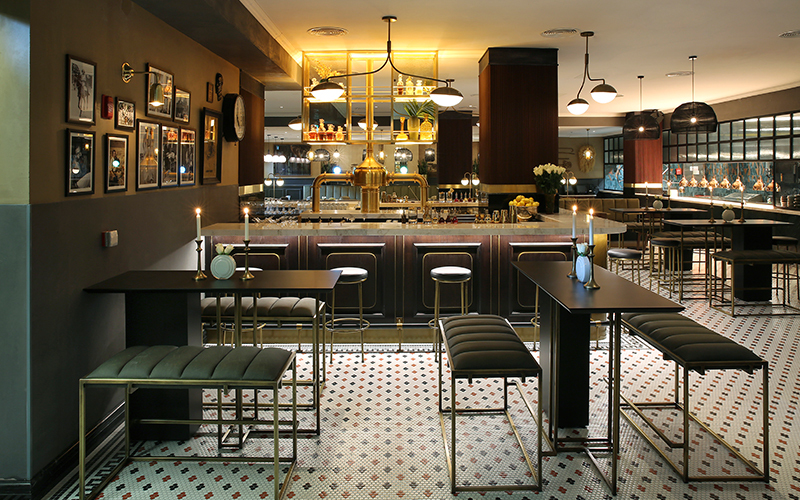 Alternatively, if you’re after a new evening hangout, the refurbished bar area is a great spot for after-work drinks. Don’t miss the live music three nights a week and its ladies’ night offer on Tuesdays. Details: 12:30pm-4pm every Friday. Packages start from AED 395 inclusive of soft beverages. To book, contact The Meat Co Souk Al Bahar, Dubai on +971 4 420 0737 or reservationsburj@meatco.ae. If you enjoyed this article, you may be interested in reading more of our reviews here.